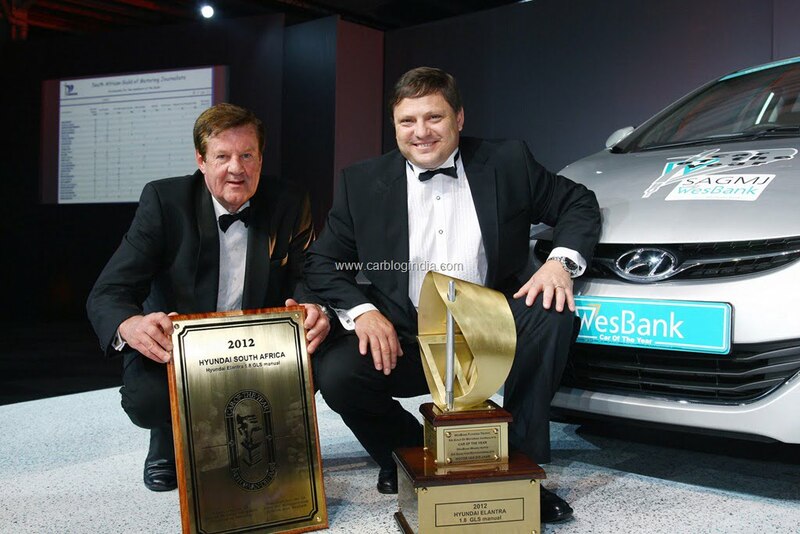 The Hyundai Elantra 1.8 GLS has won the Car of the Year prize for 2012 in the prestigious annual competition of the South African Guild of Motoring Journalists and WesBank. 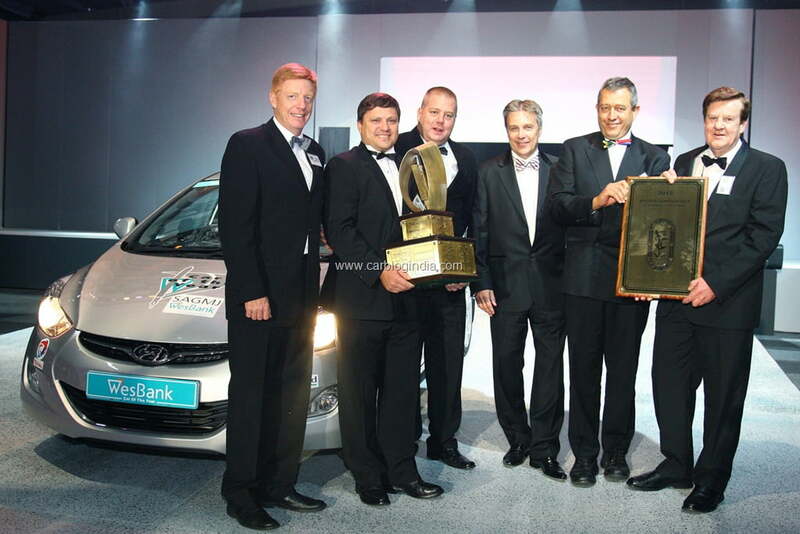 Hyundai’s medium luxury sedan with its exciting and eye-catching “fluidic sculpture” styling and with driving dynamics to match– was announced as the winner at the SAGMJ and WesBank’s Car of the Year banquet at Gallagher Estate in Midrand.It is the first time that a Korean car has been awarded the South African Car of the Year prize, and it follows two years where Hyundai Automotive SA had been knocking hard at the door. 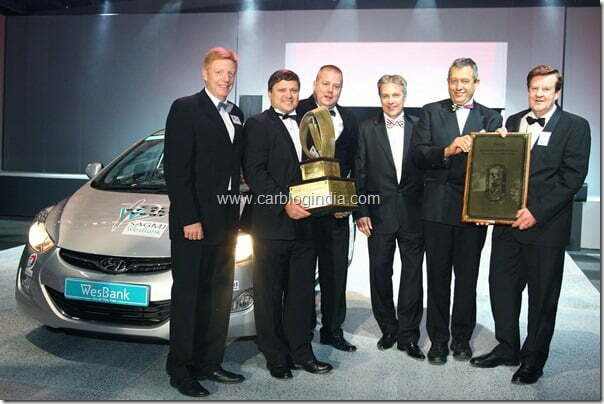 In the 2011 competition Hyundai had two finalists – the Hyundai ix35 and Hyundai Sonata – and the Hyundai i20 was a finalist in the 2010 Car of the Year competition. 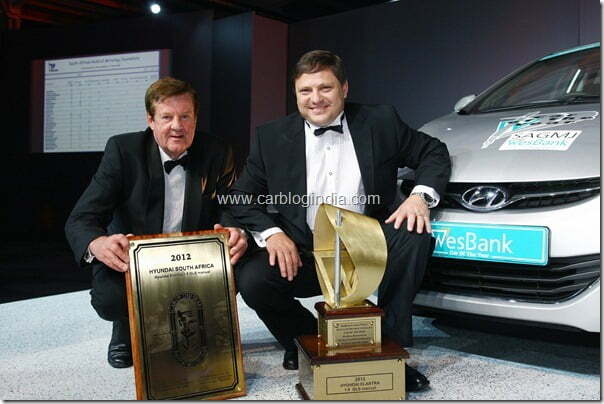 Since its South African launch in August 2011, the new Elantra has set the cat among the pigeons in its market segment. 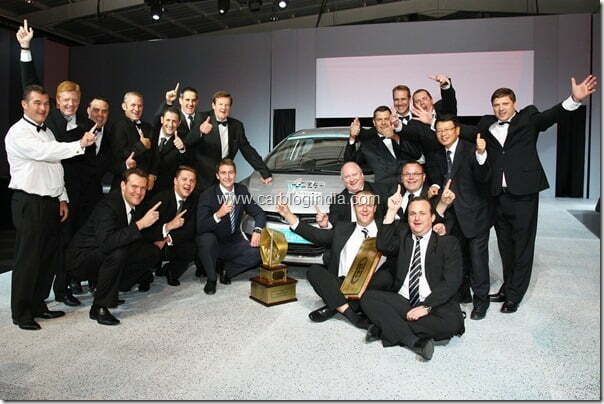 It quickly became a leader in its segment and gained recognition as the sedan that is more than well equipped to elevate the Hyundai brand to the Next Level: To compete as a modern premium vehicle that offers luxury, quality and an exciting motoring package at an accessible price.